File photo of Yosemite Valley, California. An Israeli teenager reportedly slipped and fell of a cliff and died while taking a selfie at Yosemite National Park on Wednesday, Israel's Foreign Ministry confirmed to the Times of Israel. Israel’s Foreign Ministry said 18-year-old Tomer Frankfurter, a resident of Jerusalem had been found dead while hiking at the national park and his body was being brought to Israel for burial. Frankfurter was on a two-month trip to the U.S., according to his mother. She told Israeli media that he had tried to take a selfie but slipped and fell from a height of 820 feet. 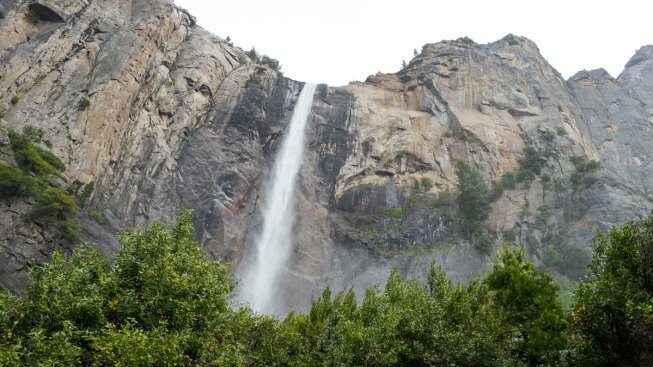 Yosemite National park officials did not immediately return calls for comment. A hiker died in May while climbing the Half Dome peak and in June, two climbers died while trying to scale El Capitan. Yosemite recently reopened after being closed due to wildfires in the area.